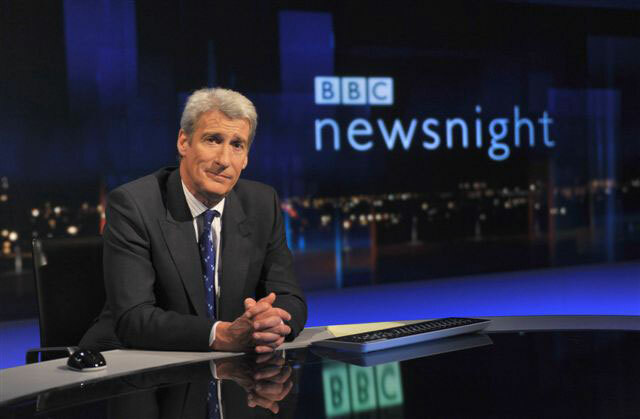 Following the resignation of BBC director-general George Entwistle on Saturday, head of news Helen Boaden and deputy director of news Stephen Thomas have “stepped aside” for the duration of the ongoing Pollard enquiry into flagship current affairs show Newsnight. Head of newsgathering Fran Unsworth has been named as acting director of news, while Ceri Thomas, editor of the Today programme will act on a temporary basis as deputy director. Entwistle resigned after only 54 days in the job after a Newsnight report led to former Conservative party treasurer Lord McAlpine being falsely identified as a child abuser. Tim Davie was appointed as acting director-general pending a new round of interviews to find a permanent replacement. Candidates from the last interview round that resulted in the appointment of Entwistle, including the BBC’s former chief operating officer Caroline Thomson and Ofcom chief executive Ed Richards, are expected to be considered. Unsworth stepped aside for the duration of the ongoing Pollard enquiry into the earlier decision of Newsnight not to broadcast and story identifying Jimmy Savile as a child abuser. A separate – emergency – review on the McAlpine story was delivered by BBC Scotland chief Ken MacQuarrie to Davie yesterday. Davie and BBC Trust chairman Chris Patten have decided that the management of BBC news should be overhauled. Davie also set out plans for the rebuilding of confidence in the BBC at a meeting with the Trust yesterday. Patten meanwhile has already publicly argued for a splitting of the roles of director-general and editor-in-chief of the BBC, a move that would require a rewriting of the BBC’s charter.